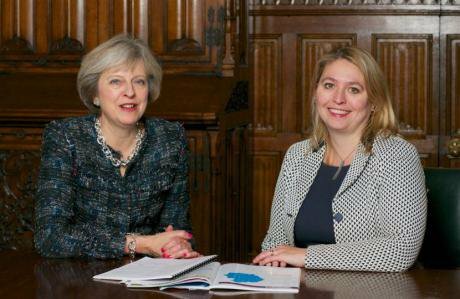 Karen Bradley, Secretary of State for Northern Ireland, with Theresa May. Image, karenbradley.co.uk, fair use. The Electoral Commission has today demanded that the government allows it to publish details of donations to Northern Irish parties during the European referendum – including a £435,000 Brexit campaign donation to the DUP. The call came as MPs backed a measure which permits the elections regulator to publish details of major donations since July 2017, reneging on a previous commitment to make transparent the details of all major donations since January 2014. The measure means that while the Electoral Commission can now publish information about any donations since July last year – and in the future – it is still banned from sharing key information about donations to Northern Irish parties during a period which included the European referendum, when the DUP received £435,000 for their Brexit campaign from an unknown source via a secretive group in Glasgow whose chair set up a company in 2013 with the former head of the Saudi intelligence service. 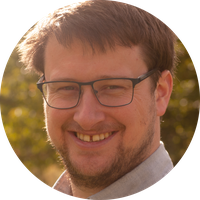 openDemocracy has previously revealed that the donation led to a record fine for failure to fully disclose where the money came from, but little more is known about it. The 2014-17 period also included two Westminster elections, two Northern Irish Assembly Elections, local elections, and a major scandal, known as “cash for ash”, where a DUP run department allowed hundreds of millions of pounds to be misspent. Today’s measure means that the Inquiry into the scandal, which has rocked Northern Irish politics, won’t be permitted to investigate whether the Democratic Unionist Party received donations from beneficiaries of the scheme. The measure, delaying transparency until 2017, was announced days after the DUP-Conservative pact. “We will continue to recommend that a further Order should be brought forward in the near future to provide for full transparency back to 2014, as anticipated by the Northern Ireland (Miscellaneous Provisions) Act 2014. “The 2014 Act said that the names of donors and lenders from January 2014 may be made public at some point in the future. At that time we wrote to all of the political parties in Northern Ireland to advise them that they should make clear to their donors that any donations received from January 2014 may be made public. “We strongly urge the UK Government to bring forward a further Order at a later date that would enable us to publish donation and loan information for the period dating back to 1 January 2014. Friends of the Earth Northern Ireland has long called for transparency with its ‘Who Pulls the Strings?’ campaign. Their activism co-ordinator Niall Bakewell said “If anyone thinks that the ‘Who Pulls the Strings?’ campaign is over, they will be in for a shock. We are owed three and a half years worth of information on Northern Ireland’s big political donors and we’re going to keep mobilising public action until we get it. “What passed in the House of Commons today was a vague shadow of real donor transparency. No one is fooled, no one is satisfied. He concluded by saying “Northern Ireland Office: you’ll be hearing from us soon”. “For too long, political parties in Northern Ireland have lagged behind the rest of the UK – failing to reveal who funds them. The potential for hidden payments is a serious corruption risk in politics and should end as soon as possible. The public deserve to know, and in the absence of published information they are left only to speculate, and the rumour mill thrives." Naomi Long, leader of Northern Ireland’s Alliance Party, was the MP who secured the legislation meaning any large donor to a Northern Irish party after January 2014 was due to be revealed whenever the Secretary of State lifted the exemption. She said: "Alliance has led the way on donor transparency, but today's action ensures other parties can now hide their donors between 2014 and 2017. Concerns were also raised about the way the government pushed through the measure, using parliamentary procedure to push through a vote without any debate in the full House of Commons.